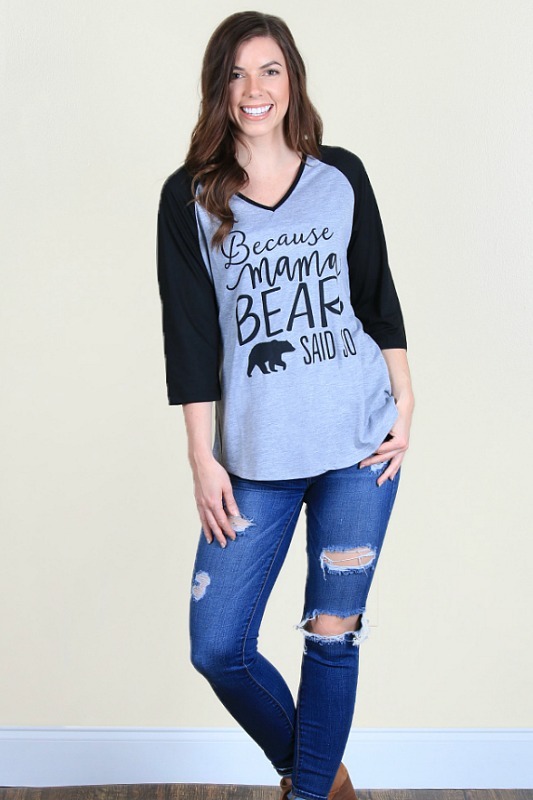 A fun twist on the mama bear graphics...because mama bear said so! 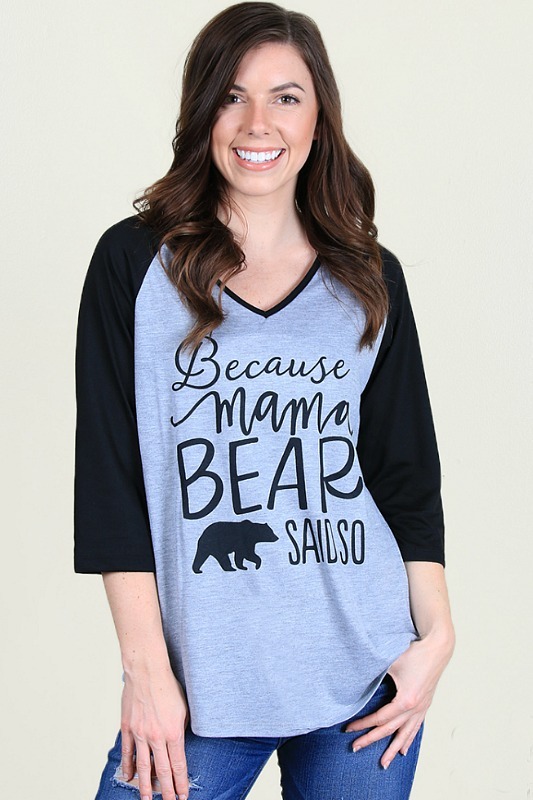 This cute raglan is grey with black baseball style sleeves. Super soft.